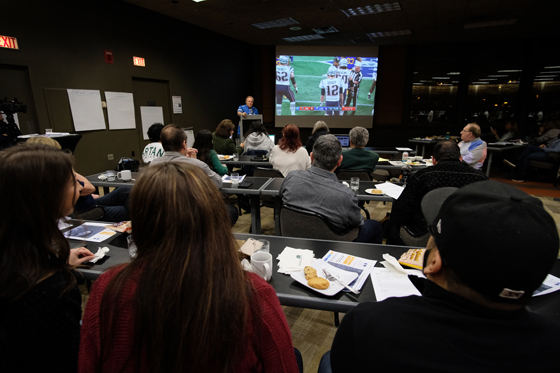 MSU faculty rate commercials during the Super Bowl at the Kellogg Center on Feb. 3, 2019. Photo by Jef Richards. Advertisers scored several touchdowns, while others fumbled during Super Bowl LIII. The winning commercial of Super Bowl LIII was “Bubly vs. Bublé” from Bubly Sparkling Water. 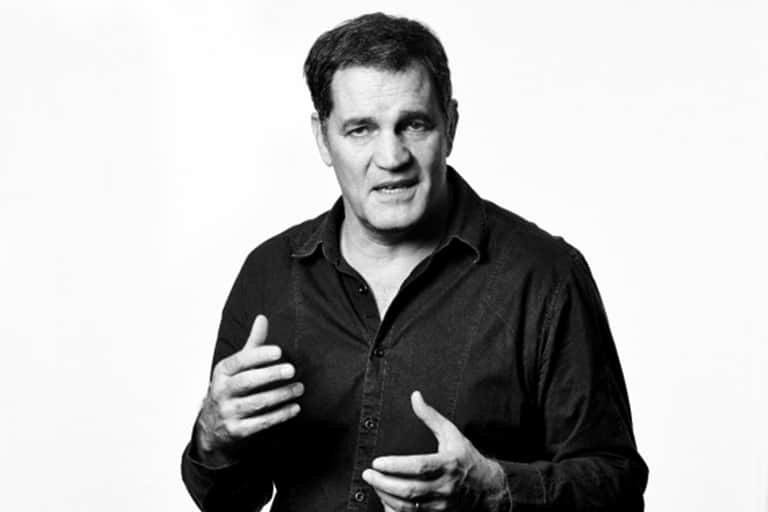 The commercial scored a touchdown with viewers, crossing the yard line with its humorous appeal in a quirky encounter featuring a mix-up with Canadian singer-songwriter Michael Bublé. 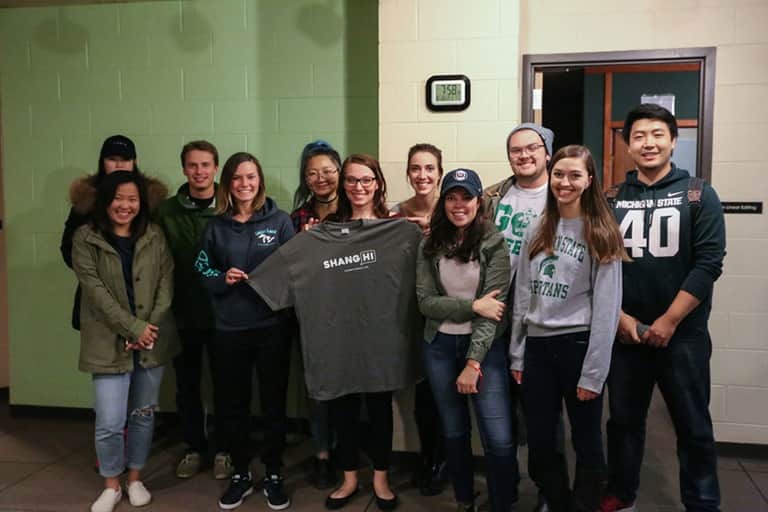 For the 22nd year in a row, professors from Michigan State University’s Department of Advertising + Public Relations rated commercials during the Super Bowl. 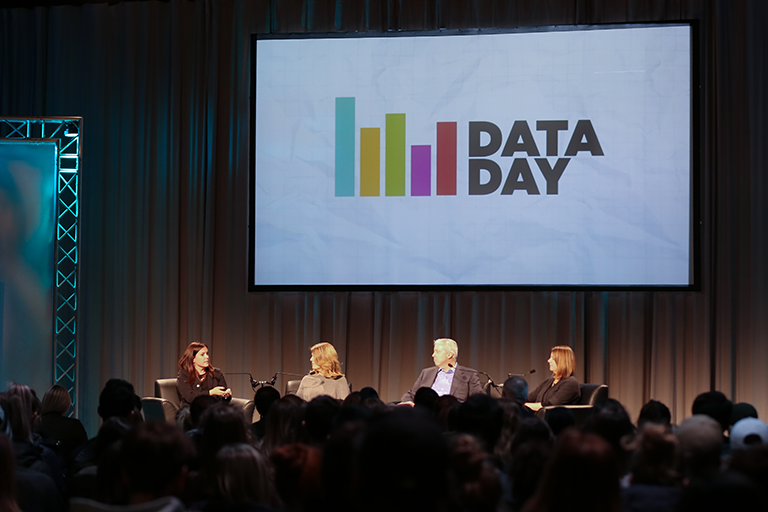 They gathered in the Kellogg Center on Sunday, Feb. 3, 2019, to watch the game and rate national commercials on a scale of 1 to 5. Coming in second place was a star-studded ad for Amazon Alexa, titled “Not Everything Makes the Cut,” which featured musical mishaps in a hot tub and a pug making an unexpected purchase of sausages. In third place, Audi upped its game with “Cashew,” an odd commercial that juxtaposed a driver’s vision in his vehicle with the Heimlich Maneuver, all while plugging the company’s goal to “electrify” a third of all vehicles by 2025. On top of the ratings, professors selected the best ads based on creativity, production, branding and/or sales, and the ‘cool factor’—a category for ads that made viewers laugh or simply impressed audiences. While Bubly took the title of most creative, Google and Kia competed for the best production quality, and Google also landed the spot for best branding and sales. The ad for “Scary Stories to Tell in the Dark” ranked high on gore, but wound up leaving expert viewers with a horrifyingly bad taste in their mouth. On the Friday before, Instructor Alexandrea Thrubis invited students to score the Super Bowl commercials at the College of Communication Arts and Sciences. About 100 students turned out for the event, and Bubly and Audi tied for first in the student rankings, with Hyundai coming in behind them. The event will be held again in 2020. The Super Bowl advertising spots featured many commercials that spoke to gender, including the strength of women, traditional gender roles and changing norms. These included an ad for “The Handmaid’s Tale” from Hulu, an ad with tennis player Serena Williams from the dating app, Bumble, and an ad featuring football star Toni Harris from Toyota. While several brands ventured into this area, this year’s selection achieved that balance and yielded positive results, according to MSU faculty. Many professors agreed the Super Bowl LIII commercials that aired messages of support for issues like women’s empowerment and accessibility succeeded. While they didn’t necessarily sell a product outright, the advertising scored points on the side of corporate values and consumer opinion. “My favorite commercials were the ones with a human emotional connection, and the ones that explored technology and how we make a human connection with technology,” said Thrubis. In fact, MSU professors agreed the theme of humans and machines was prominent in 2019. “This was definitely the year of the robot,” said Associate Professor Nancy Rhodes. David Ewoldsen, a professor of Media & Information, noted how many commercials explored the connection between robots and humans. The Super Bowl commercials left viewers with thought-provoking moments and pure entertainment. In 2019, the spots for prime viewing during the game costs advertisers upwards of $5 million for a 30-second spot. 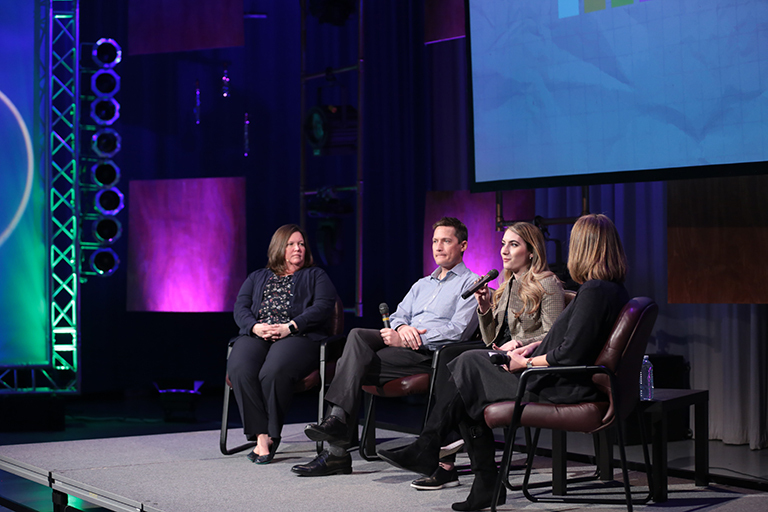 MSU faculty estimated that some corporations may have spent $20 million to $25 million on advertising, an investment that will ensure their brands are top of mind for years to come.